La Roche-Posay’s mission is to offer the highest efficacy and safety to the most sensitive skin. The brand’s products contain patented active ingredients developed through scientific research, with product efficacy proven by over 500 clinical studies carried out in dermatological centres worldwide. Since 1897, La Roche-Posay has incorporated antioxidant-rich thermal spring water into its products. This unique water contains an effective concentration of selenium that has been clinically proven to soothe and soften the skin. La Roche-Posay has worked with dermatologists around the world to develop skincare and makeup products for sensitive skin. The company is proud to continue its strict policy of eliminating potentially irritating ingredients, such as parabens and fragrances, from its hypoallergenic products. Formulas are minimalist, which means that all ingredients in La Roche-Posay products are limited to active concentrations of only what is essential to provide the most effective results. All products are tested under dermatological control on allergic skin for tolerance and sensitivity. Textures are developed to enhance sensitive skin’s appearance and feel with regular daily use. The Foundation La Roche-Posay has been awarded more than 100 fellowships for dermatology research on four continents. The foundation has partnered with dermatologists around the world in awareness campaigns on the prevention of skin cancer. 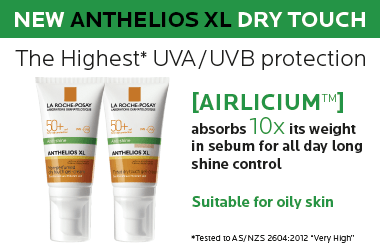 Accordingly, La Roche-Posay is the dermatologist’s brand of choice. Showing 20 products of 57. This sunscreen does not allow skincare layering and makeup -- it pills the entire thing right off so your whole skincare layering effort is gone. Also, the colour is pigmented, so make sure it's the same colour as your skin or it will not look great. It's probably wearable on its own, but not the best option for workdays.